Half marathons take place on many surfaces – trails, highways, city streets, small county roads. 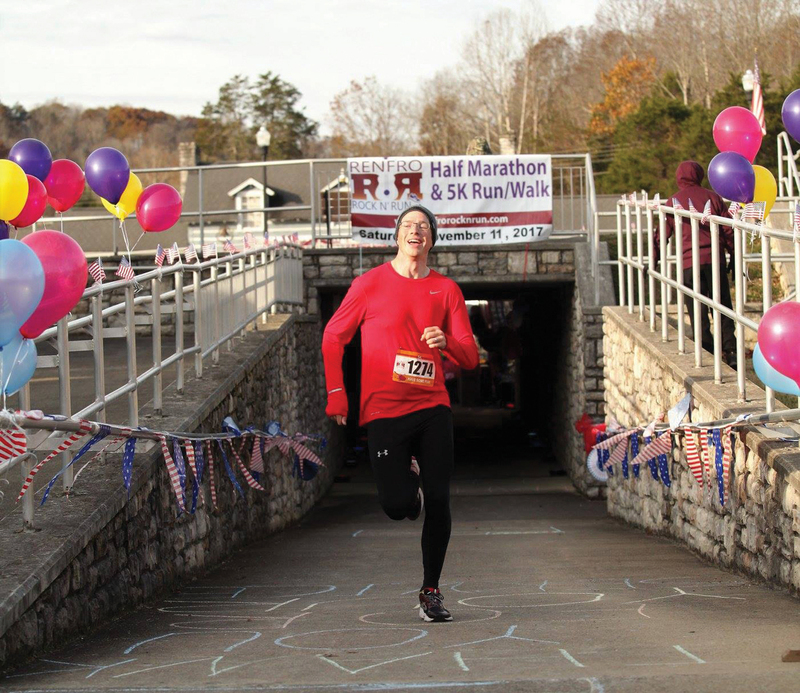 But participants routinely say one the most exciting parts of the Renfro Rock ‘N Run half marathon isn’t on a road at all – it’s under the road. Few travelers even know it’s there – a 90-foot tunnel built underneath U.S. Hwy. 25 in the heart of Renfro Valley. It was apparently built to make it easier for pedestrians to walk safely from one side of the entertainment complex to the other, but the Rock ‘N Run committee recognized that it might appeal to runners as a fun way to finish a race. The hunch turned out to be on target. Runners rave about the uniqueness of the finish. 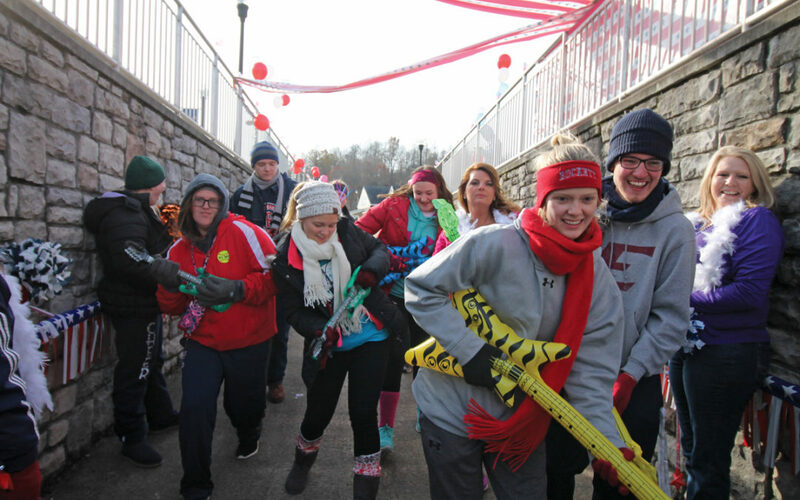 It’s made even better by the energy of Lisa Smithern, RN, and her team from Rockcastle Medical Arts, who deck out the tunnel with a theme and line the entrance with spirited volunteers who cheer the participants on to the finish. This year, since our race was on Veterans Day, they chose a red, white and blue patriotic theme. 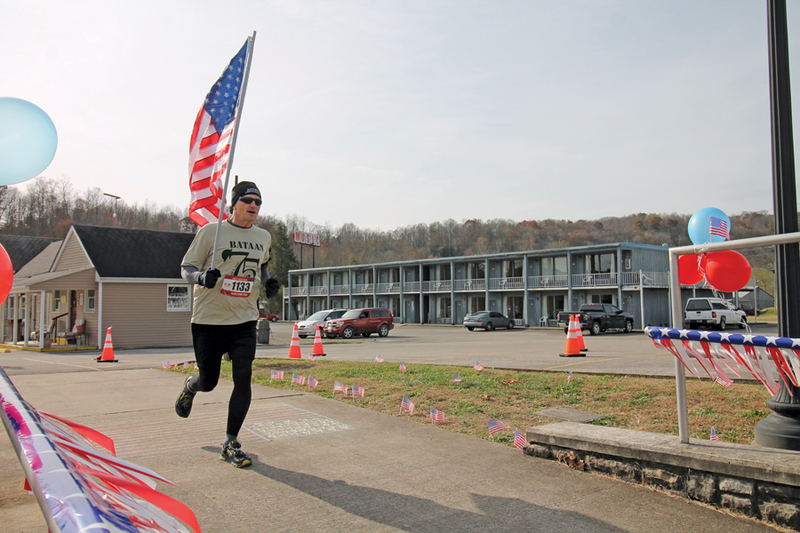 The 2017 race was the first Rock ‘N Run for Brad Scholl of Columbia, KY.
Scholl, a law enforcement officer who served in the U.S. Marine Corps for nine years and is in the KY Army National Guard, was one of several veterans who participated in the Rock ‘N Run. One ran the entire half marathon carrying a U.S. flag. Veterans were given half-price registration and were honored with a pre-race recognition ceremony. This year’s race was the first since a partnership was formed with the Kentucky Music Hall of Fame and museum, which hosted the packet pick-up and offered tours of the museum to participants. And 2017 was the first year that a 5-mile option was added to the half marathon and 5K races. 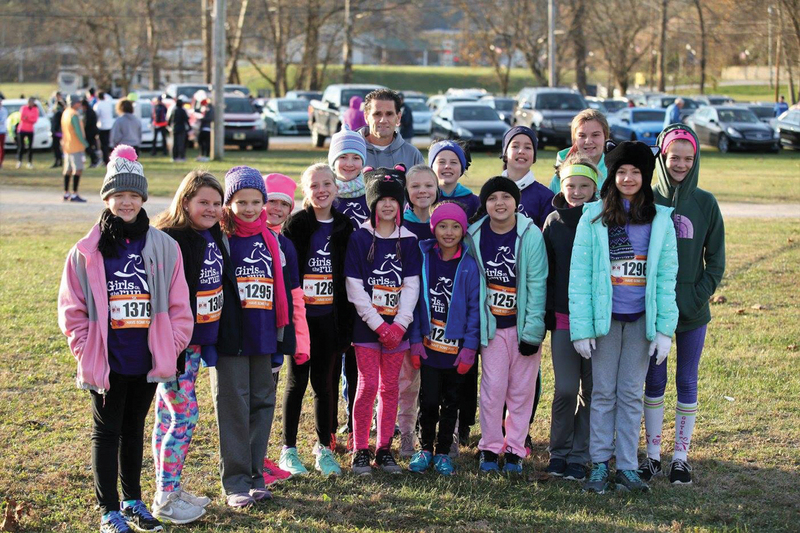 That means there were three overall winners for the three races, but you could have fooled many after they finished what has become one of Kentucky’s most fun-filled running events.